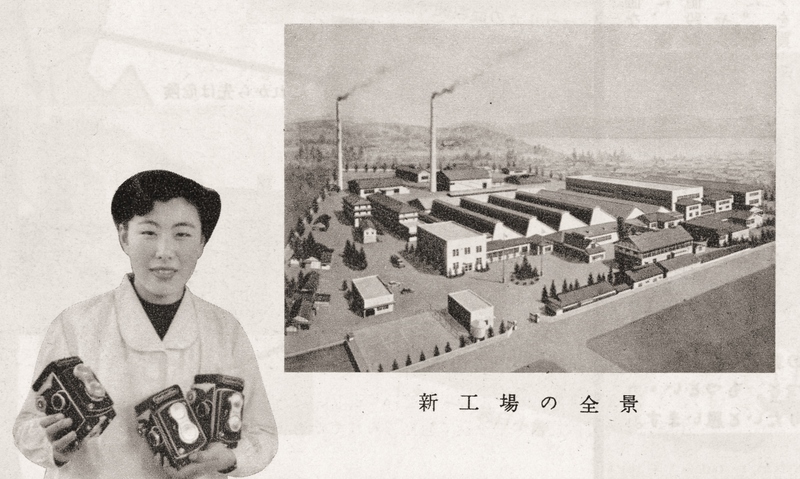 Yashima’s new factory along the shores of beautiful Lake Suwa in Nagano Prefecture 1956. Many fine craftspeople from the local area came together to design, assemble and test some of the best twin-lens reflex cameras in the world. This woman is likely holding the Yashicaflex A2 (maybe). Camera’s right side exposed! After numerous hours of scrapping, sanding and cleaning… almost ready for some painting. The bare aluminum body will get a brush coat of zinc chromate sealer/etcher primer. After 60 years of corrosion I want my finish topcoat of satin-black lacquer paint to stay stuck! 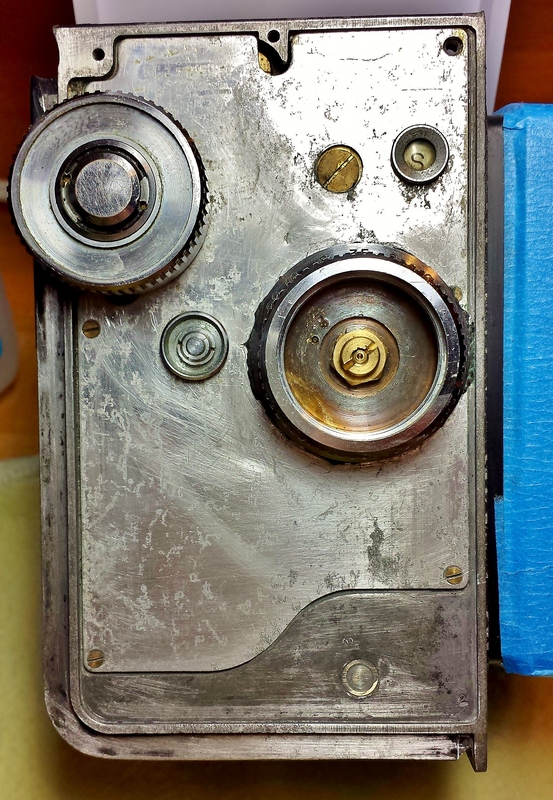 October 16th change of plans… looks like I’ll use a self etching primer on the exposed aluminum. 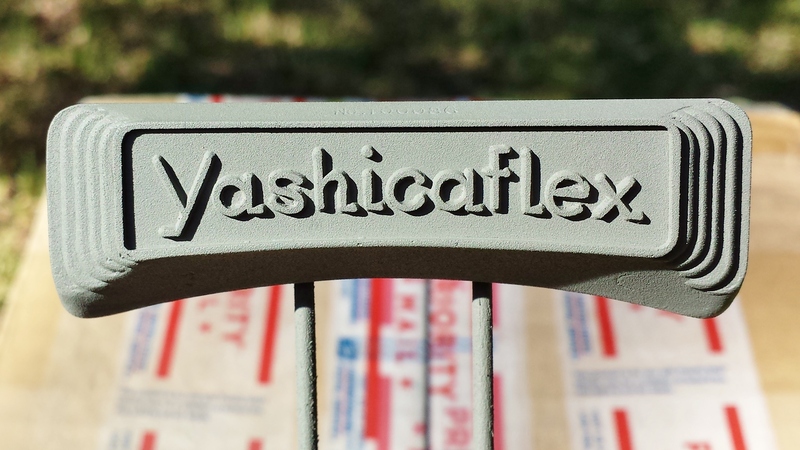 First coat of self etching primer on the bare aluminum nameplate. This coat will get wet sanded with 320 grit paper and then another coat of a final lighter weight primer. That final primer will get wet sanded with 1200 grit paper and then the final color coat will be applied. 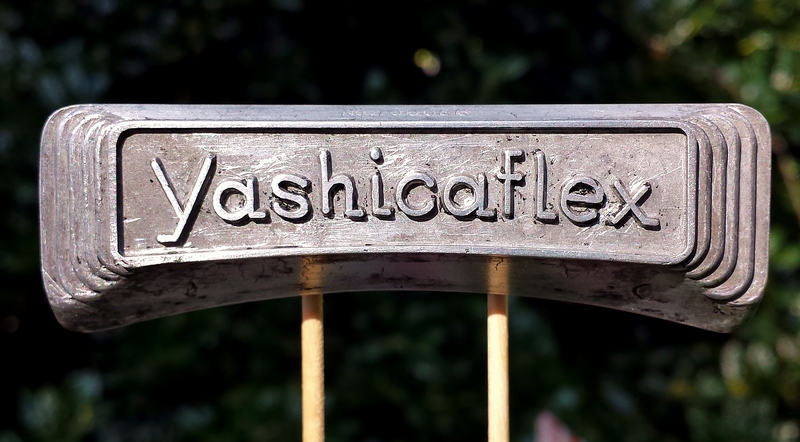 Original nameplate without the factory black enamel. Ready for the primer coat.